Valentine is all about a romantic date with your partner along with some adorable gifts, making the day memorable. Here is a Romantic Valentine Chocolate Cheer, a fantastic delight that you can gift to the love of your life on the special occasion of love. 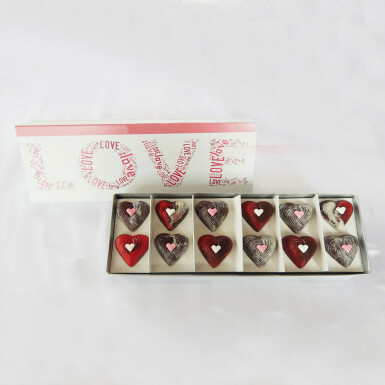 The box is full of premium heart-shaped chocolates that are luxurious and ready to indulge you in a chocolate fantasy with every bite. Buy this impressive gift online from Winni and surprise your lady in a lovely manner.